It's simple to drive and gives you a high ride height and good visibility in a small, not-kid-friendly 4WD car. But it's lack of power neuters it somewhat. Mr. 14: It looks better than those other mumsy four wheel drives. Me: Is that the best thing you can say about it? It’s probably the best looking Subaru for a long time and it’s available in some funky colours. But it’s not the best driving Subaru. 1,955cc 2l petrol engine only. Lineartronix CVT gearbox or 6-speed manual. It’s rated at 7 litres per 100km but we were getting over 10 out of it. That’s probably because we felt a bit frustrated at the lack of power and kept flooring it where possible to try and jolt some life into it. The Subaru XV is one of the prettiest Subaru's we've ever seen. But has all the effort of the exterior design taken away from what lies beneath? Because that's where Subaru's usually shine. 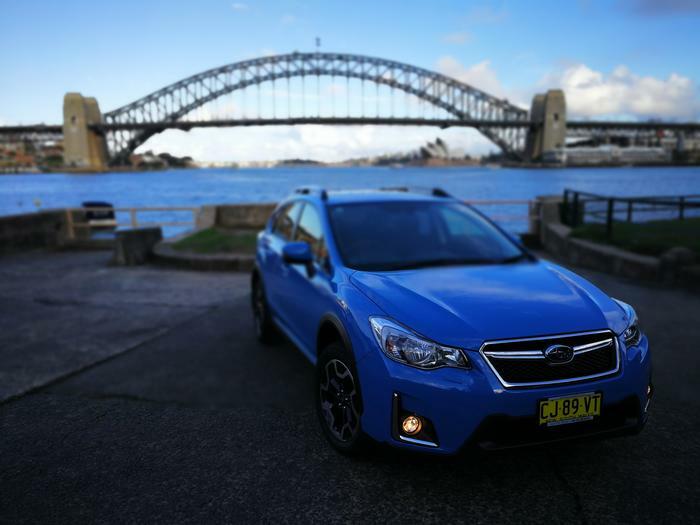 Check out our full Subaru XV review, here. Hit and miss. It’s based on Subaru’s rally cars and steering is suitably responsive. There’s a high ride height despite being a small SUV and the Forester-like, glass-box visibility means there are few blind spots and visibility is much better than, say, an Outback. There’s not much oomph though. While it will happily tootle around the city the pick-up is mediocre, especially when going uphill. The 4WD sticks to the road in the wet but not as much as others – apparently due to the slightly off-road-friendly tyres. It feels more responsive when using “manual’ gear changes with the racing paddles but when there’s not very much power this gets old quite fast. It’s not really a drivers’ car. We had the top-end model with leather seats and felt it was very comfy. Except for the point that the roof wasn’t high enough. If you’re over six foot tall and have a long back you could well end up with a cricked neck and back like we did - so beware. There’s not much room on the back seats so despite being a city-friendly SUV and as such it’s not much of a family car. The boot is also quite small. One buyer told us they’d bought one because their Forester was getting old and they no longer needed the size because the kids had grown up. There’s a reversing camera and (very good) GPS in the top-end model along with heated seats and automatic wipers. Automatic stop-start technology is included but not much more. Some impact sensors would be nice at the front but at least the great visibility means we didn’t miss them. Main differences are cosmetic and stereo related. Full differences here. No. The roof isn’t high enough (on a personal note) and we don’t like the CVT gearbox as it feels too contrived and not as bombproof as a Subaru normally should. Both of these are very personal, but we can’t fit all the kids in the back easily either. Also, we do kind of feel that the lack of oomph about this car would make us feel like we’d given up on life. If you fit inside it, like the classic Subaru interior feel and visibility, want an unassuming-yet-colourful small SUV for town-more-than-country, don’t regularly have passengers in the back, aren’t too fussed about overtaking on a motorway and want easy driving, then this is a great choice.